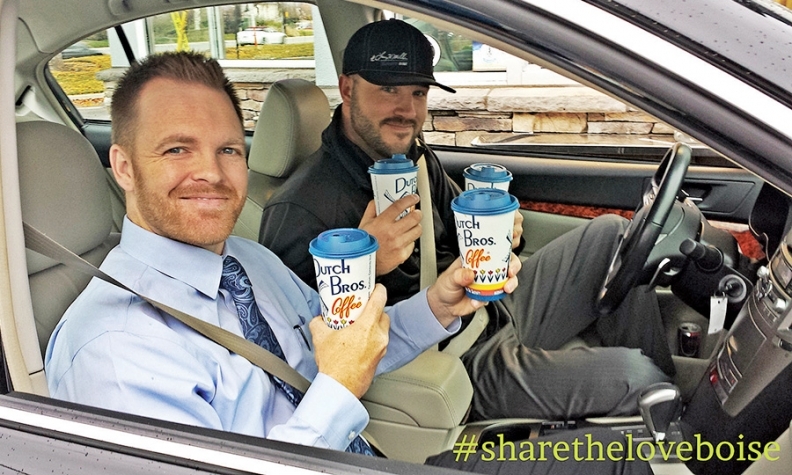 General Manager Ty Leuthold, left, bought coffee for Matt Hefner and two other sales associates with the highest customer satisfaction scores. *Cool perk: The Fit for the Future program helps with weight management, healthy living tips and personal fitness. If employees follow the tips, track their health (water consumption, food diary, daily exercise) and participate in the daily and weekly challenges, they can earn prizes (water bottles, exercise/stability balls, NutriBullet, lunch cooler) and reductions in health insurance premiums. *General Manager Ty Leuthold on showing employees that they are valued: "We offer rewards, such as lunch, coffee or gift cards, when an employee is recognized for going above and beyond the normal call of duty. Recently, we gave an employee a round of golf after a customer sent a letter detailing their positive experience. It's not always about the money." *Leuthold on a change in response to staff requests: "We changed the pay structure for sales after it was requested by many sales employees. We adjusted the dates and structure of the pay. Everyone is happy with the adjustments."